Pictures and video posted on social media show one disgruntled customer opening the Cadbury Biscuit Assortment after receiving it as a gift. The customer’s wife, who works as a teacher, was given the box by one of her pupils before Christmas. 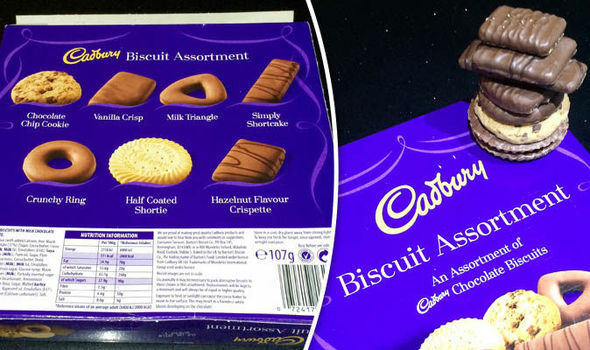 The husband, from Birmingham, who does not want to be named for fear of embarrassing the pupil, said: “Cadbury’s are quite literally taking the biscuit. “It was a box given to my wife from one of her pupils at Christmas which was a lovely gesture. “We saved the biscuits until after Christmas and we sat down with a glass of red wine and thought we’d open it up and tuck in. 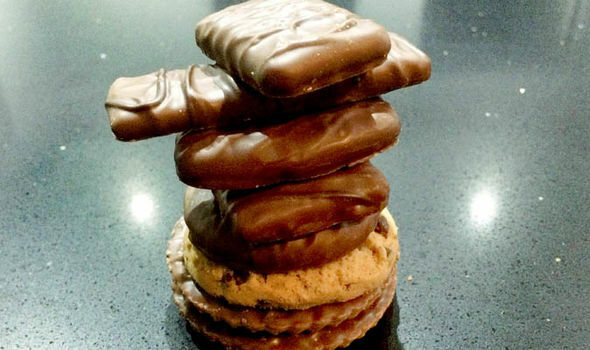 “I saw eight biscuits and thought they would be double-stacked. 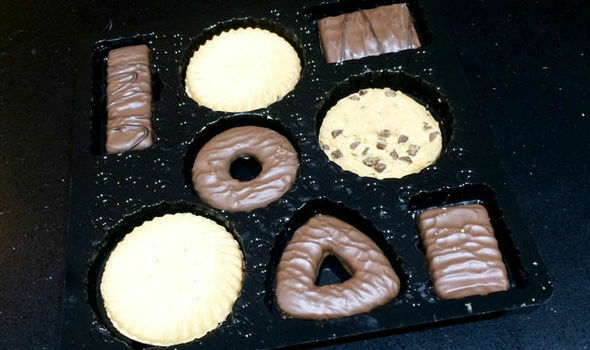 “To my amazement it was just one biscuit in each compartment. “What angered me was the plastic tray inside the box had been built up by at least an inch to make it look like it was deeper than what it actually was. “Looking at the depth of the box, a customer would think there were lots of biscuits in there. The box measures 21cm by 21cm, with a depth of just under 3.5cm. 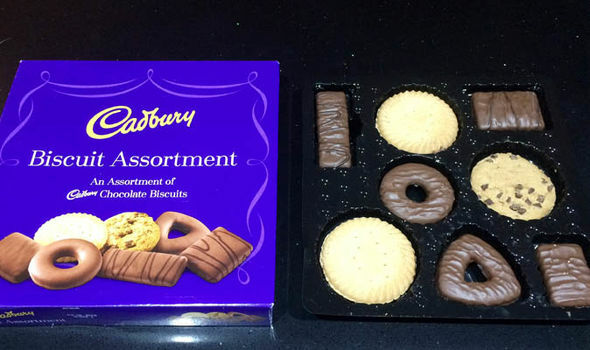 The description, which is incorrect because there are actually eight biscuits in the box, states: “A scrumptious Cadbury chocolate biscuit selection. “A Cadbury box with seven biscuit flavours to choose from! 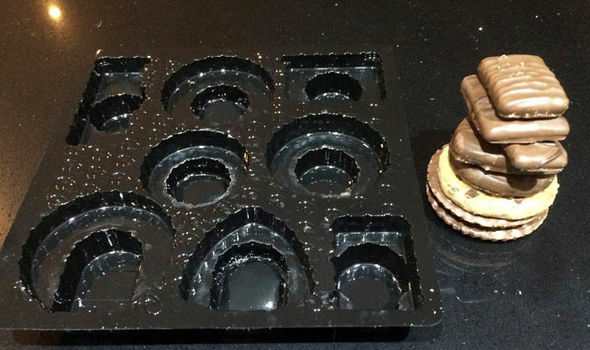 Other dissatisfied customers left reviews of the confectionary gift online. Twitter user Tom P said: “Trade descriptions Cadbury! Full-sized box to house eight measly biccies. Cadbury was sold to US giant Kraft Foods for a reported £11.5billion in 2010. It is now part of global snacks business Mondelez. Since the takeover, the company has been accused of betraying the principles of its Quaker founders, including the axing of its commitment to use Fairtrade chocolate. Customers have also complained of changes to the taste of some of Cadbury’s most iconic snacks. Spokesman for Cadbury said: “We are sorry to hear that the consumer was disappointed. “However, we do not believe our packaging is misleading as the weight of our products is clearly labelled on pack so people can be certain of what they are getting, as is standard across the food industry.